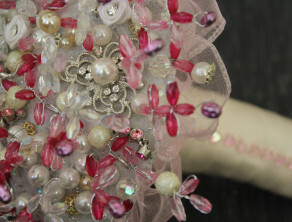 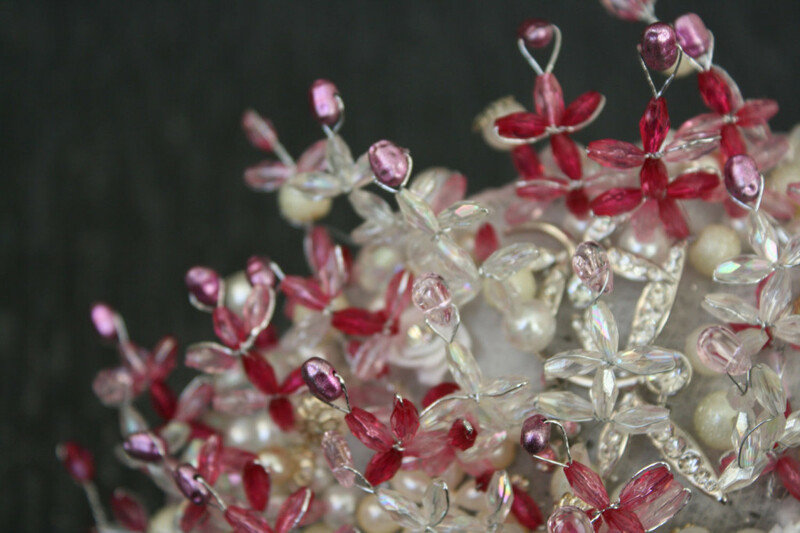 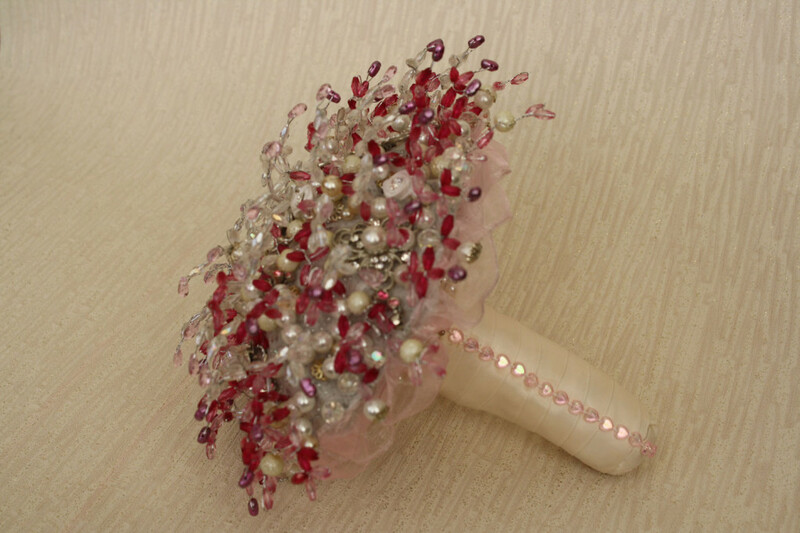 Our Posy brooch bouquet is made from a collection of small diamante brooches and embellishments, glass drops, crystals, faceted beads, earrings, textured and glass pearls, finished off with a delicate organza wired ribbon on the underside of the bouquet. 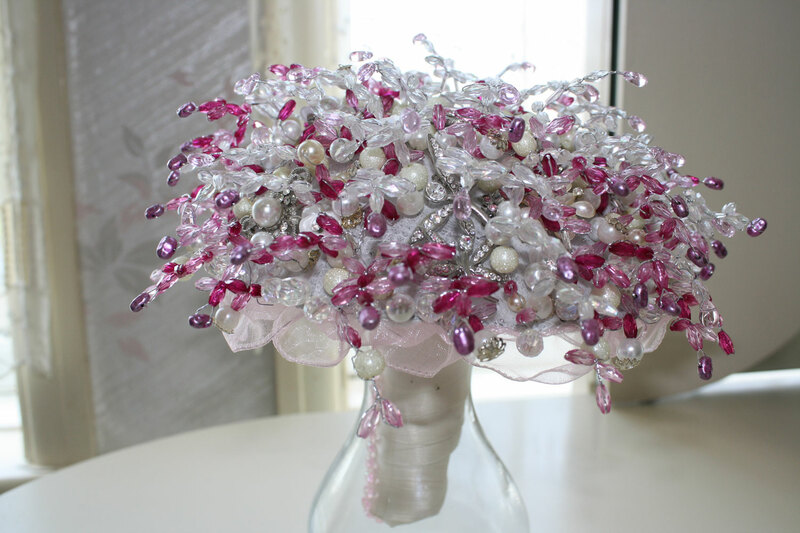 This gorgeous posy bouquet can be made in a variety of colours, sizes and styles. 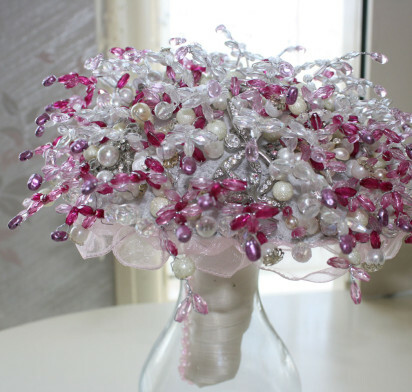 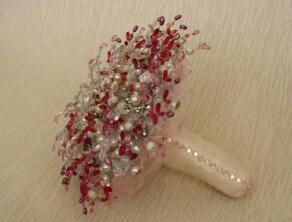 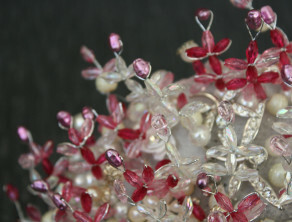 The size of the bouquet shown is 25cm in diameter and is priced at £275 including P&P. 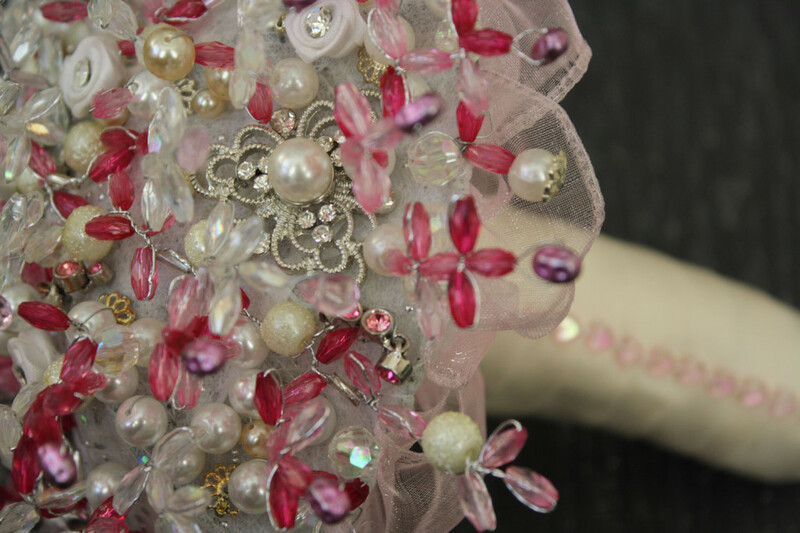 As this posy brooch bouquet is shown for your reference, please email info@bespoke-bouquets.co.uk or use our enquiry form and we will be happy to discuss your individual requirements.